kx500af frame lower bar cracked! 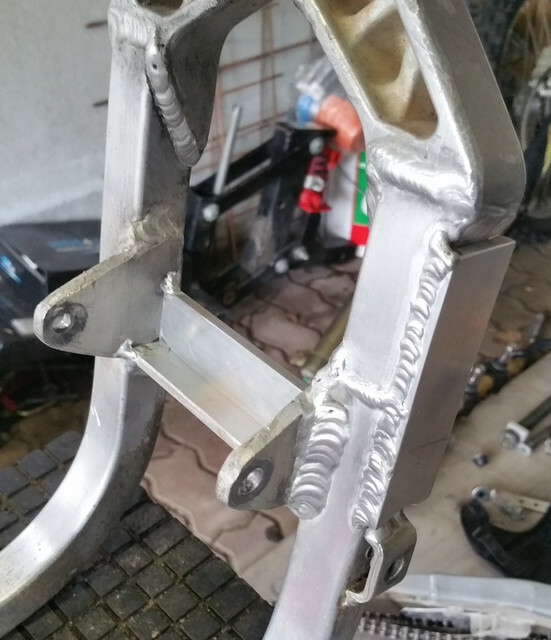 KX Riders > Maintenance & Technical > KX500 Aluminum Frame Conversion (AFC) > kx500af frame lower bar cracked! 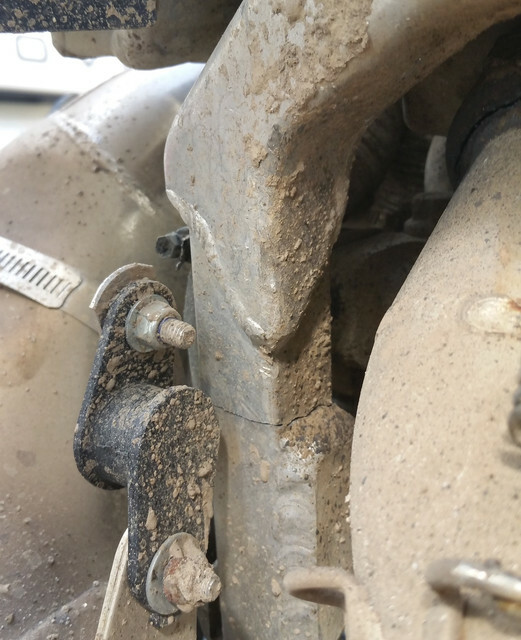 it seems that the engine mount and the engine was not shimmed well and a tension occurred then the vibration of the 500 cracked the bar. Re: kx500af frame lower bar cracked! lucky you saw that , hate riding when your frames breaks in half , had that happen to me on a yamaha. 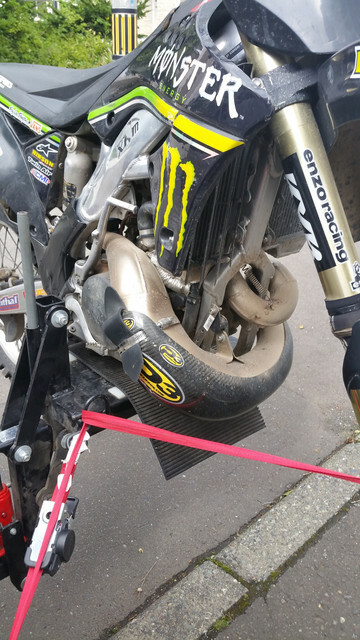 can get very hurt , if it was me i would find a kx250 04 roller ,slip that 500 in that then up date the forks ,but thats only me. redesign that area and extra gussets then reduce vibration. I agree with Dino. It sounds like you have fixed the problem that caused the crack, so I would strip the bike down to the frame and clean it up really, really well, have that area welded and then add some extra reinforcement plates over the area that cracked. I would add some extra material over the other adjacent area as well, just to make sure they flex the same. I'm glad that you caught it before you rode it. Fixing a crack is just a matter of welding. Fixing you is a lot more involved. Can you provide a picture of the head stay design? If this isn't done properly it puts tremendous strain on the engine cradle. Wanted to see the head stay which is the mount that goes from the top of the engine cylinder head to the frame. 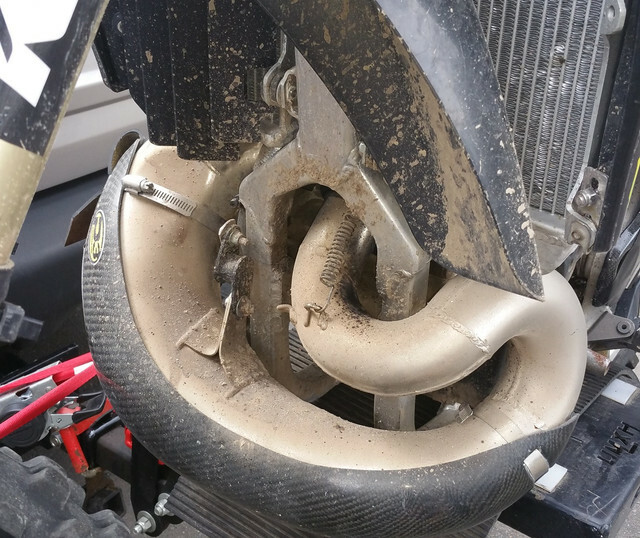 Besides the lower rear engine mount at the swing arm this is the mount that also supplies a substantial amount of the vertical axis load management. 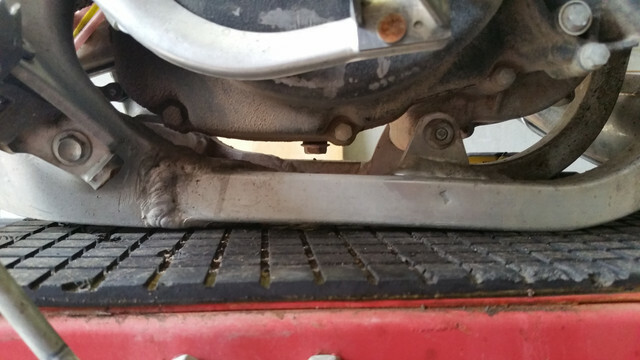 The engine cradle mounts mostly assist with side to side movement at the lower center of gravity but do accept some vertical load. The main players are the head stay and swing arm mount. 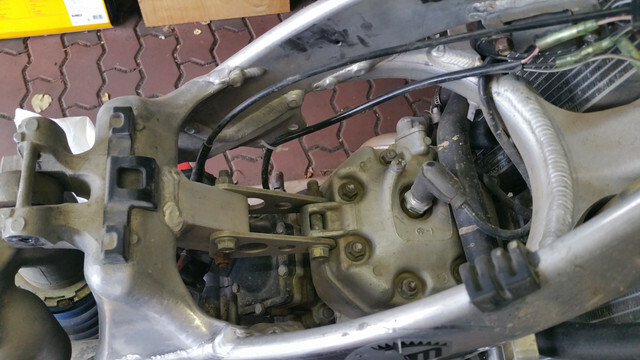 If the head stay design is not correct it allows to much load to be placed on the engine cradle. Once I see a picture of your head stay I'll know if there's a problem. Part of the mount in this picture of my AF is welded to the frame. Then there are two bolts from the rear engine bracket to the frame mount and a single bolt on the engine bracket to the head. This creates a triangulated mount that cannot allow the engine to move up and down unless the weld fails or a bolt snaps. Service Honda really over engineered this area and it is unlikely it will ever fail. 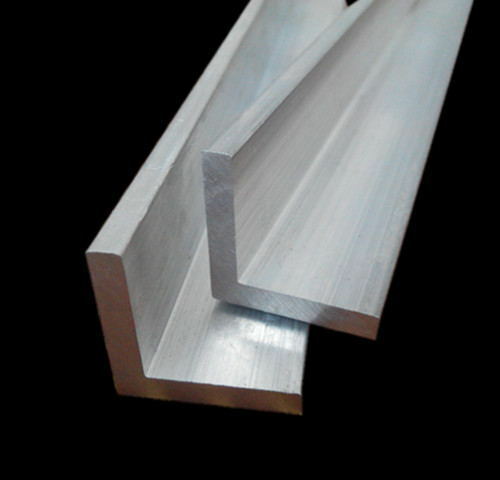 by the way, for the welding fix, flat bar and 90 degree angle bar of 6061 is the way to go? Head stay design triangulated looks good. Brackets are to thin and the lightening holes in the brackets further reduce strength. I think this is allowing the engine to slightly twist under load putting to much stress on the cradle. Need to go with beefier brackets and maybe some gusseting or reinforcements in the gap between the the two brackets. More is better! the welding is finished, I gusseted as well to get the maximum of strength. I agree for the head stay reinforcement suggestion, need to make stronger attachment to keep in place the engine and support the maximum of engine weight.